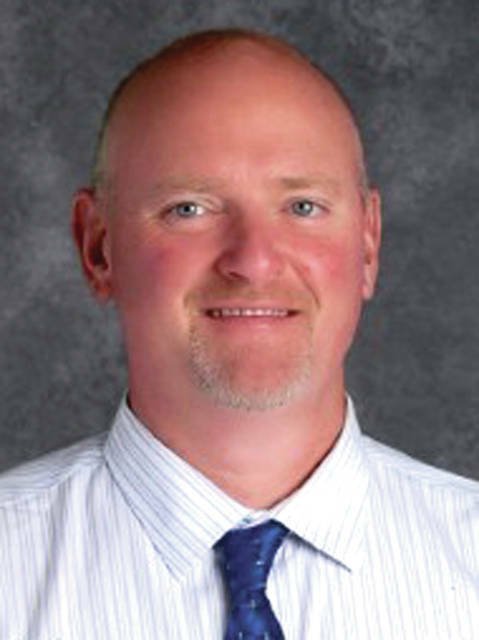 TROY — At the board of education meeting Monday, Troy City Schools Superintendent Chris Piper reviewed the district’s state report card, comparing Troy’s scores with 56 other local districts. Troy City Schools earned the state average C on its report card. The district passed seven out of 24 state test indicators. The district passed third- and fourth-grade math, High School American US Government and US History, biology and end of the course improvement indicators. The following schools earned a C as a building: Concord, Forest, Kyle and Troy Junior High. Cookson and Heywood earned D grades. Troy High School, Hook and Van Cleve earned B’s on the grade card. Piper said there are “many lenses” the state report card could be viewed through, including student achievement versus student growth. “There’s always areas for improvement … pockets of success and pockets of struggle,” Piper said. Piper said state officials have touted that report cards should not be used in ranking, but to help improve classroom instruction. Piper complied 56 adjacent county school districts’ report cards, which Troy City Schools placed 24th out of those districts in performance index indicators. Piper disputed the state’s value added indicator, which he said should be taken with a “grain of salt.” Piper cited changes in state testing showed many schools either got an A or F in that category, with little to no average scores, indicating a disconnect with the score itself. Piper said the data would be broken down at the building, classroom and teacher level to begin conversations on how the district can inprove its performance. Board member Susan Borchers asked if the state report card tests have undergone changes year to year and if they would continue to change. Piper said the state testing has stabilized a little bit, but administrators around the state are still adjusting to changes year to year, making it hard to compare numbers fryear to year. “This is important information to have. We have to look at where we are performing and look at our situation compared to our comparison group and ask questions. Again our goal is improving instruction, not for the goal for throwing a list up and seeing where we rank, but for the goal of improving instruction,” Piper said. Board president Doug Trostle noted the district’s size and its student population diversity in comparison to other schools in and around the Miami Valley. Director of curriculum Michael Moore reported the district focused on language arts across the district K-12 last year. Director of food services Clint Hufford reported student meal participation is still ramping up with approximately 2,400 meals served to its 4,100 students. Hufford said the peak number of meals is 2,500 student participation from last year. Hufford said labor costs still make up the majority of his department‘s expenses, which has decreased from 70 percent in 2016-2017 to 66 percent last year. Hufford reported food services earned more revenue in spite of four additional snow days from the year prior. Each snow day or other unscheduled school day closing, costs the food service department around $10,000 in lost revenue. President Trostle asked Hufford to compile data to reduce costs if the district should consolidate buildings and how it would impact the food services department. Hufford said it would benefit in equipment purchases and possibly a few labor positions. Hufford said he would do some research and report back to the district at a later date.